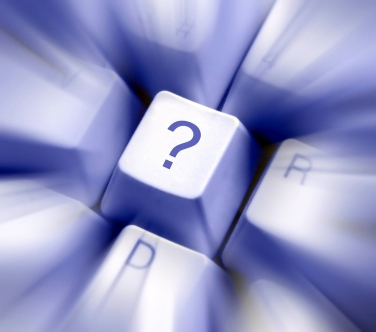 If you're unsure what a certain term used on our website or in a product brochure means, check here for a definition. We're always seeking to improve our glossary, so if you run across a term you don't understand and can't find it discussed here, email us to let us know by clicking here, and we'll add the information to the glossary! battery backup - An auxiliary power source for an electric lift chair's motor which is powered by two 9-volt batteries. In the event that your household power service is interrupted while you are using your electric lift chair, the battery backup provides enough power for you to exit your power lift chair safely. These batteries should be replaced after every such use to ensure that the backup operates reliably. chaise padding - The cushioning used in the seat of an electric lift chair. Some lift chairs feature a full chaise pad which extends from the seat all the way to the footrest, providing full-body support for the user when reclining. external transformer - An electrical component connecting an electric lift chair to a wall outlet. This device converts household AC current into DC current for the power lift chair. The transformer should always be placed in a well-ventilated area away from moisture and combustible materials; it can also be wall-mounted using a manufacturer-provided kit which is usually included with the purchase of electric lift chairs. footrest extender - An optional add-on accessory which can be attached to the foot rest on your electric lift chair, giving you a few extra inches of footrest space. This is an excellent add-on for exceptionally tall individuals. frame - Usually constructed from either wood or steel, the frame is the interior portion of the power lift chair that holds and supports the other materials as well as the weight of the user. Many electric lift chairs by Golden Technologies come with a lifetime warranty on the chair frame. hand control - A corded remote control which is used to control the lift, recline, heat, and massage functions of an electric lift chair. Many liftchairs allow this remote to be placed on either the right or left side of the chair to accommodate dominant hand preference, or a disability in a given hand such as that caused by a stroke. heat and massage unit - This optional feature utilizes vibration units and heat coils embedded within the power lift chair's body which are intended to relieve sore muscles and provide a better degree of relaxation and comfort. 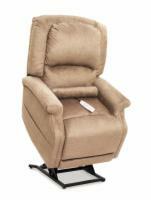 Heat and massage units are available as add-ons for most electric lift chairs at an extra cost of $100-$250. 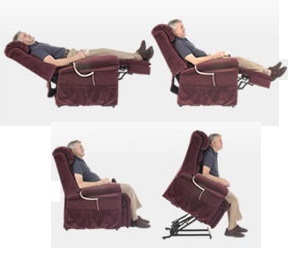 infinite position - This term describes a power lift chair which is designed so that the back and foot rest operate independently of one another, allowing the user to manipulate the chair into a very wide range of positions for maximized comfort, including a nearly flat full recline position. 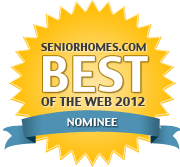 We highly recommend infinite position electric lift chairs, as they are the most versatile of the available models. lift mechanism - The internal part of the power lift chair which elevates and lowers the chair to allow the user to safely sit or stand. lift motor - The electrical component which powers the lift mechanism via the external transformer. 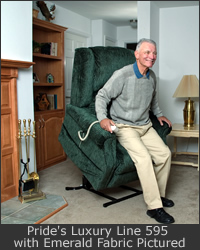 Some electric lift chairs with higher weight capacities contain dual motors to accommodate heavier workloads. scissor mechanism - The series of interlaced metal rods which extend and retract the foot rest. 2 position / two position - A term that describes an electric lift chair which reclines back slightly to a comfortable seating position for watching TV or reading; the foot rest inclines only slightly on such liftchairs. 3 position / three position - Used to denote a power lift chair which reclines as far back as a 45-degree angle and is better suited for brief naps; like two position electric lift chairs, the footrest has only a slight incline. weight capacity - The amount of weight, usually expressed in pounds, which a given electric lift chair can safely support. Most liftchairs can support between 300 and 375 pounds of weight; heavy duty or bariatric grade models can support as much as 600 pounds of weight. Zero Gravity - Golden Technologies' term for their infinite-position electric lift chairs. The technology used in Zero Gravity chairs is specifically engineered to accommodate users who need a power lift chair that reclines to a full Trendelenberg position to aid blood circulation. Such positioning also helps to expand lung capacity and provide proper posture support for the curve of the user's spine.